Busy this week with Christmas - full post's with images will be back on December 26th. Merry Christmas! New Testament - Bible.org's commentary on today's readings in Revelation chapter 15 titled "Prelude to the Seven Last Plagues" is at this link and "The End is in Sight" is at this link. Psalms - Psalm 143 verse 8 stood out to me today - "Let me hear of your unfailing love to me in the morning, for I am trusting you. Show me where to walk, for I have come to you in prayer." I read somewhere before - I think it was Bruce Wilkinson's book "Secrets of the Vine" - that many great men and women of our Christian faith connect with God in the morning through prayer, reading the Bible, and other quiet time activities. Bruce even suggested that this is the preferential way to go - to start your day by spending time with God in the morning, rather than at night. Because he said this would then transform the rest of your day - in terms of being more conscientious of our relationship with God. This does make sense to me - and in fact, I have started reading the One Year Bible now in the mornings, and it is a beautiful way to start the day! I like what this Psalmist says - "Let me hear of your unfailing love to me in the morning." And it reminds me that somehow, someway, it almost seems easier to me to connect with God in the morning. Actually - one other thing I used to do in the morning is read a page or two from Oswald Chambers "My Utmost For His Highest." And I am thankful that I did this in the morning for a season. How about you? Do you have some way that you connect with God in the morning? Are you able in some way to hear of God's unfailing love for you in the morning? How are you celebrating on this Holy Night? Click here to celebrate forevermore! Prayer Point: Pray that you are bringing glory to God's name with your worship and life. 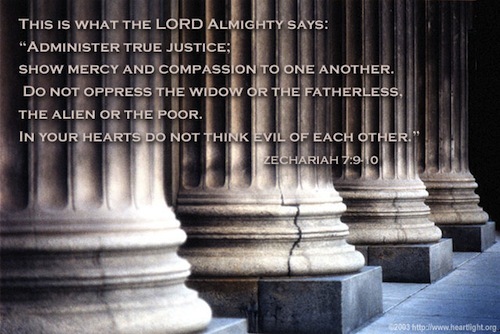 Pray that you are evangelizing others to fear the Lord and worship Him now and forevermore. Thank you so much for giving us this blog. Your insight and work from the Holy Spirit into this project shows with every posting. My time with God has been in the morning for several years. It sure does keep my day close to Him. I think I started to do this because of what Jesus said to love Him with all our heart and soul and mind and strength. All of these seem to function best in the morning for me because there are no other distractions. It's funny how your verse today is verse 8 in Psalm 143. I have never seen that verse, even after just reading it. I'm keeping that one within easy reach for sure! God has been speaking to me about purpose and direction over the course of this year. I am trusting God to direct and teach me to follow his will. As it says in Psalm 143:10: "Teach me to do your will, for you are my God. May your gracious Spirit lead me forward on a firm footing." May you and your family have a blessed Christmas. Thank you Mike for your postings. Have a happy blessed Christmas. For a long time now I have started my day with your blog. Thank you Mike. Mike - I am amazed that in my almost 50 years of church-going, how much of the Bible I have missed. Not only have I read things that I never knew existed in the Bible, but because of your commentary that you painstackingly write everyday, I have a better understanding of the messages and a thirst to learn more. I sincerely thank you for giving me a great jumping-off place to continue my study of God's Word! I am so thankful that I was guided to your blog on January 1st of this year! Thank you, thank you, thank you! 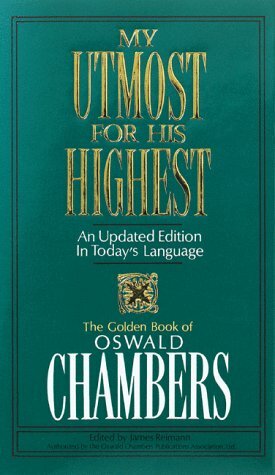 You can also read My Utmost for His Highest at http://utmost.org/ online daily for any who may be interested. Thanks so much for your words each day! The song by JJ Heller that you posted earlier this week was SO timely for me and has "pulled me up"....thank you for you obedience to the Lord. If I don't read in the morning I feel like I'm entering my day in spiritual battle without my armor on. I do also like to read God's Word before falling asleep so it is the last thing in my mind. Funny, I had to get pass the idea that it is ok to spend time in God's Word more than just once a day. Weird.